At Cooper, we receive many different types of service calls from within Essex County, New Jersey. Since our headquarters is in New Jersey, we can resolve any pest problem within Essex County quickly. We provide FREE No-Obligation Estimates for all of our services and our mouse, small nuisance ant, carpenter ant, carpenter bee and stinging insect services are available for convenient online purchase. Ant Control and Elimination – You may experience many types of ant problems such as Carpenter Ants, Flying Ants, Pavement Ants, Odorous House Ants, Cornfield Ants, False Honey Ants, and Little Black Ants. Although these pests are more of an annoyance since they are not damaging the structure of your home like Carpenter Ants, at Cooper, we realize that you do not want these pests in your home which is why we offer services to prevent and eliminate ant problems. 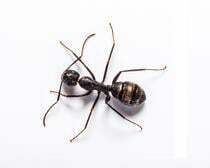 If you have a large black ant infestation in your house or tiny ants in your kitchen that you need to get rid of, our service is guaranteed to eliminate and repel ants. Bed Bug Extermination and Removal – Bed Bugs, unlike other insects that feed on blood, have never been proven to transmit disease to humans. However, bed bugs bites can cause itchy red welts in some people and are often confused with poison ivy or an allergic reaction of some kind. Many people also find the presence of bed bugs distressing and may have trouble sleeping. At Cooper, we specialize in bed bug elimination and we are the recognized national leader on the subject of bed bugs and for the treatment of bed bugs. If you suspect that you have bed bugs, please contact Cooper immediately. To learn more about Bed Bug extermination click here. If you have a recurring pest problem or more than one pest causing problems at your Essex County home, you may want to consider one of our home protection plans. Our Traditional and Intensive Service plans protect your home while keeping your family safe from intruding pests year round. If you have a pest or a rodent problem in Essex County, please give us a call at today.